Mounted at its iconic City Hall, this 172.5 feet tall tree that flashes hundreds of sparkling lights at each stroke of six became the city's newest attraction since it was lit up to public last November 16 in time for the celebration of its holiday festivities to honor its Patron Saint, Christ the King. 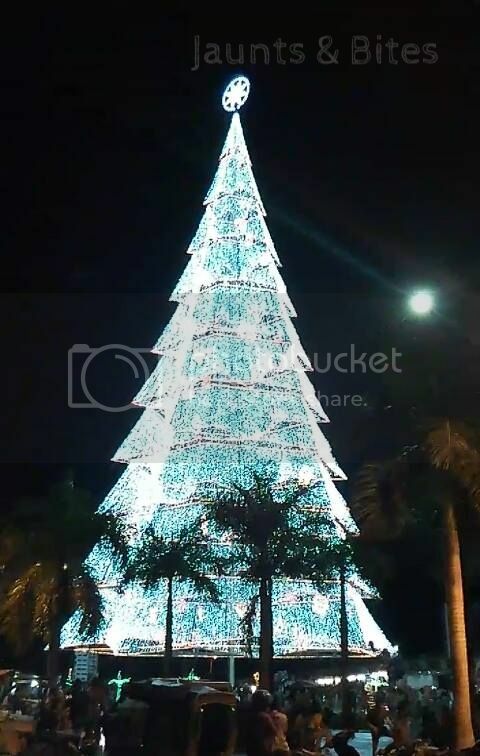 With its towering height, this giant holiday tree is said to be the country’s tallest Christmas trees to date, besting the then title holder Puerto Princesa in Palawan. The tradition of putting up a giant tree in the this city was started by former Mayor Rey Uy during his term in 2001-2003. The tree was a lot shorter and smaller back then. Manila Bulletin reports that this time the structure and all the lights including accessory structures on the ground cost about P2.4 million according to Mayor Allan Rellon. 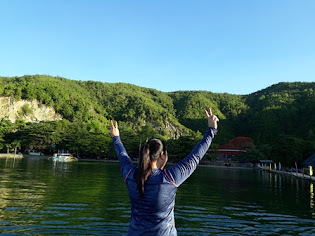 What so special about it is that it gives a good venue for families and friends to bond together while enjoying the view. Not to mention the local vendors and their chance to make living for even just a short span of time. This encounter reminds me of putting my tree up at home as well as Christmas is undeniably getting so near.